The intense heating of the skin with radiofrequency energy promotes collagen regeneration and contraction of existing collagen structures. This provides a great tightening result on loose abdominal skin as well as the neck and jowl area. TriPollar treatments also accelerate fat metabolism, forcing fat cells to secrete their fatty acids and shrink down. Along with consistent healthy eating and exercise, these fat cells typically remain shrunk down. The contraction of the skin and shrinking of the fat cells typically provides 50% or more improvement in the appearance of cellulite. TriPollal Facial Contouring is the secret to looking your most youthful and lifted, all the time, whether at work, or at play. TriPollar radiofrequency technology painlessly delivers focused radiofrequency waves deep into your skin to tighten and lift your skin without the need for cosmetic surgery or minimally-invasive treatments. Controlled radiofrequency waves are delivered via the electrodes directly from the skin surface to the subcutaneous fat layers. The heat causes immediate contraction of the deep layers of the skin and reduce unwanted fat cells. Visible facial contouring result can be shown from the first treatment. In addition, your skin is stimulated to produce collagen, giving long-term skin tightening and firming result. TriPollal Facial Contouring will make you will look fresher, with visibly lifted facial contours even after the first session. With regular treatments, you will enjoy long-lasting anti-aging and skin-tightening results. Who is a suitable candidate for this TriPollal Facial Contouring treatment? Individuals with mild to moderate saggy skin will benefit from this Tripollar facial contouring treatment. It will also benefit people who are averse to cosmetic surgery or minimally invasive skin lifting treatments. The skin may appear red immediately after the treatment as heat has been applied on the skin during the treatment process, but all side effects should resolve on its own in a matter of hours. Which areas of the body can you treat? We have found TriPollar to be a great on the loose abdominal skin after pregnancy as well as the sagging neck and/or jowl area. Cellulite on the hips, buttocks, or legs is another great area for this treatment. Patients who have undergone extensive weight loss and now have excessive, loose skin will not benefit as much from this, and they would do much better with plastic surgery management. Treatments feel more like a hot stone message and are painless. At times the heat is more noticeable, but it is not considered painful. You may have some redness or slight swelling after each session, which typically disappears within several hours. Blisters, burns, or scabs are extremely rare and should prompt a call to our office for follow-up. Because this procedure is gradual and safe, it takes 8 treatments for the best effect, given on a weekly basis. Fortunately, the treatments are easy and fast, lasting around 30 minutes, with no down-time. You can return immediately to work or regular activities. Consistency is important, as the effects are cumulative. Don’t expect to see many results after 2 or 3 treatments. The regimen of 8 weekly treatments provides effective results for most patients. Those with more advanced skin issues may need up to 12 treatments. Because the body continues to age as we get older, it is recommended to undergo maintenance treatments twice a year to keep the youthful result. Is this treatment safe for everyone? Patients with pacemakers, defibrillators, or metal bone implants should not undergo radiofrequency treatment. Dental implants, however, are fine with this procedure. Also, those who are pregnant or breastfeeding are not considered candidates for this treatment. Patients with a history of cancer must wait at least one year after treatment and be cleared by an oncologist to proceed with radiofrequency treatments. Those with connective-tissue disease (lupus, etc) will not respond well to this treatment, and should evaluate other options. As with many processes in the body, collagen does not grow overnight. It takes weeks to slowly grow and develop. Most patients begin to see results after the fourth or fifth treatment, although everyone is different. The final results are typically apparent one (1) month after the last (8th) treatment. Will the heat melt away the filler injections in my face? No, it should not destroy any of the filler injections. However, it is best to wait one (1) month after any filler injections before starting radiofrequency treatments. How is TriPollar different from other radiofrequency devices? 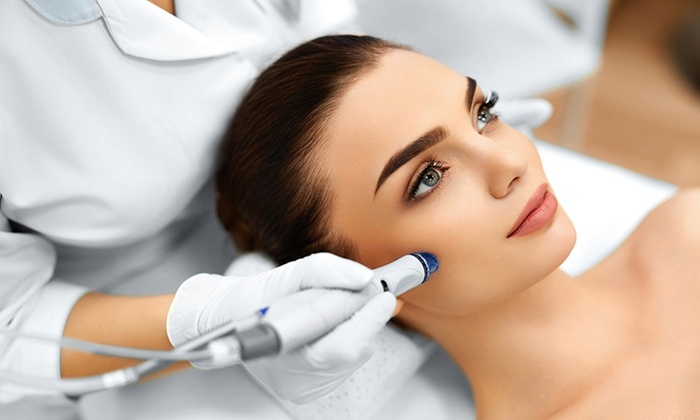 Radiofrequency has been used in medicine for over 75 years, and various cosmetically-based radiofrequency devices have been introduced to the market through the years. TriPollar technology employs three or more electrodes at a time for quicker, more focused heat production, dependable results, and no pain, compared with the older technologies.